Every city and era has its icons, some old some new. 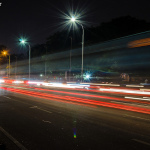 Take Delhi – it has the Red Fort and Qutub Minar from the earlier days and Lotus Temple from the modern days. Similarly, we have London with its ancient Palaces like Buckingham Palace and Tower Bridge representing the middle ages, but it also has London Eye which has also become an icon for modern London. 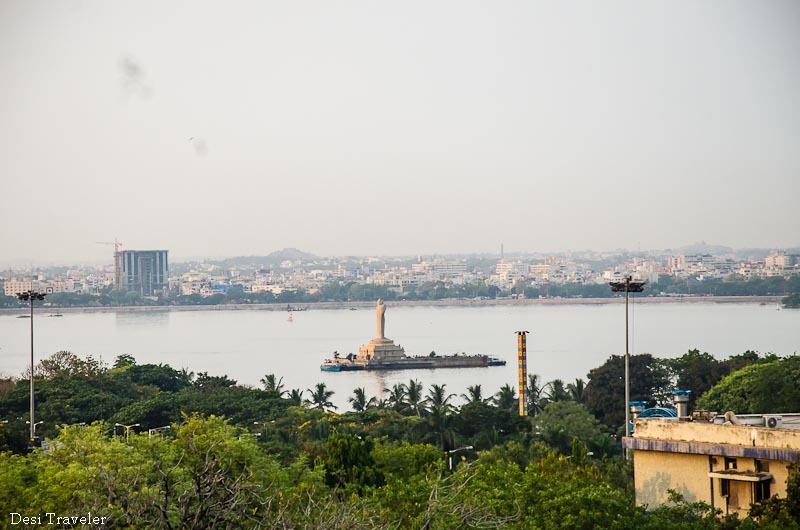 Our own Hyderabad has Golconda Fort and Charminar as its icons from the past and now we have the 18 Meter high statue of Buddha in the middle of Hussain Sagar as the icon of the new Hyderabad. 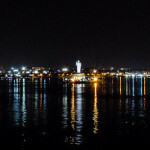 As I wrote about my experiments in low light photography, during my evening walk at Hussain Sagar, I missed clicking the 18 meters tall Buddha Statue in Hussain Sagar in its different hues. Yes, it is true as the evening progresses the hues of the Buddha statue and Sky keeps on changing. In the day the light is too harsh and the pictures do not capture the serenity and calmness that Buddha represents. 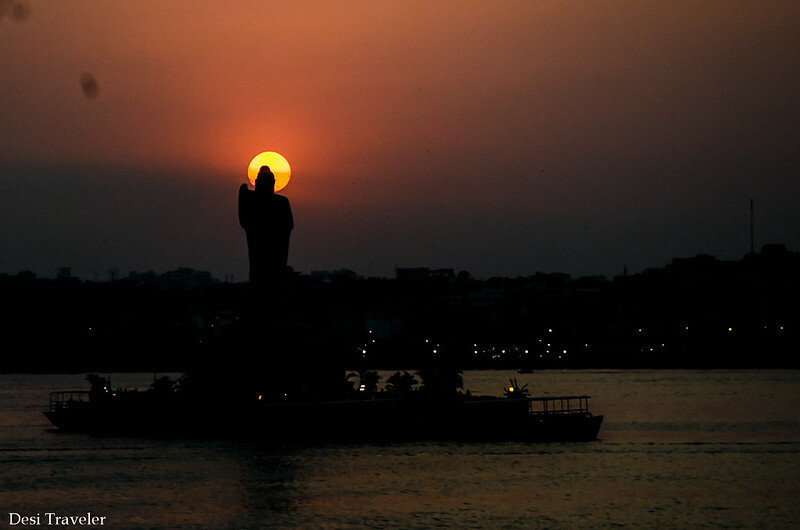 But once the sun starts to go down in Hyderabad in about 45 minutes you see many hues of the Buddha statue in Hussain Sagar. So I visited Hussain Sagar once again and decided to click pictures of the Buddha Statue once again. I was with my friend Ganesan whom I first met in Pondicherry where I had gone to attend a marriage. As he is a professional photographer later I requested him to help me click pictures of Tata Vista D90 for the review. 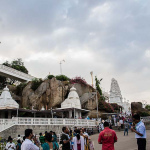 We started clicking pictures of the Buddha Statue first from the top of Noubat Pahad from the precinct of Birla Mandir and then came down to Hussain Sagar. As the Sun started its journey towards the other side of the third rock in the solar system the aura around Buddha started changing colors, almost every minute. 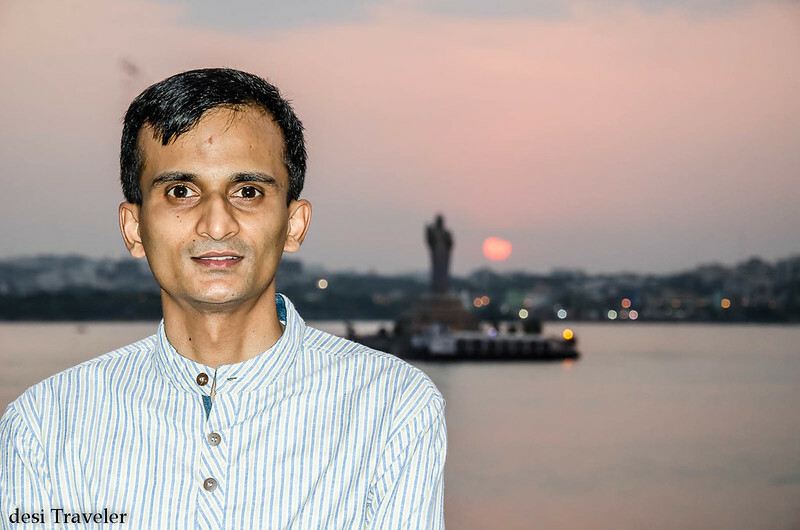 There were literally tens of photographers trying to click the 18 Meter Tall Buddha Statue in Hussain Sagar, Tank Bund with Sunset as the backdrop. There were kids posing with their moms, tourists trying to capture the Buddha in their cell phones, and enthusiasts like me trying to hone their photography skills. The whole change of colors due to dust in the atmosphere makes the background orange to dark red depending on the amount of dust in the air. As the Sun starts setting the colors of sky to keep on changing, and then suddenly the lights that illuminate the Buddha come on and you get those brief moments when both the Sunlight and the different lights from the podium all are competing for the blessings of the Buddha. The color change does not stop even when the Sun sets and darkness engulfs Hussain Sagar, soon the floodlights start illuminating the Buddha Statue and you get a very mesmerizing effect due to a mixture of lights just like I saw in Taramati Baradari. 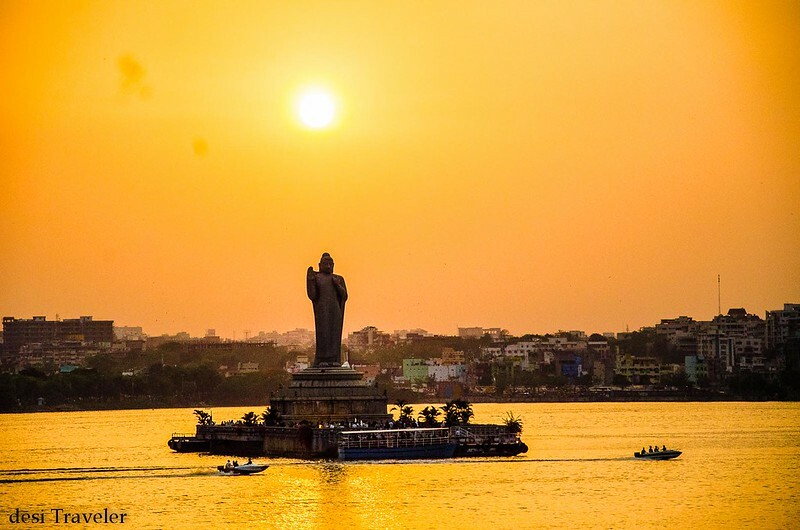 So my dear reader, don’t be a tourist when you visit the Buddha in Hussain Sagar, take some time, be calm and wait for the whole magic unfold in front of your eyes slowly as the Sun sets and night becomes young. The credit goes to former Chief Minister of Andhra Pradesh N.T. 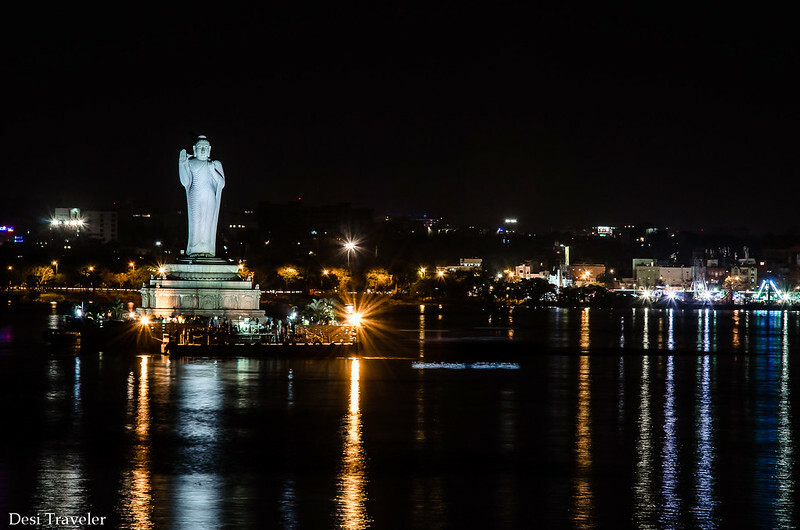 Ramarao who wanted something as grand as the Statue Of Liberty in Hyderabad and as Buddha is a globally inspiring and revered icon it was decided to install a statue of Gautam Buddha in the middle of Hussain Sagar. 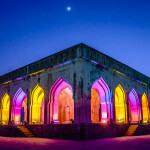 Also one must not forget that in ancient times these areas, especially near Vizag, Amravati and Nagarjuna Sagar, were great centers of Buddhist learnings and many monasteries and Buddhist Universities flourished in this area and students and monks came from far and near to learn and meditate here. Anyways long story short after many years of hard work by hundreds of artisans, and even a fatal accident leading to death of 10 people when transporting the statue to the platform in the Lake and drowning of the statue and later retrieving it after 2 years finally the Buddha Statue was installed in Hussain Sagar Lake on 1st December 1992. But it was just a statue and not something to be worshipped then in 2006 His Holiness The Dalai Lama performed rituals as per Buddhist holy scriptures and consecrated the 58 feet tall Buddha Statue. You can read more here on Wikipedia about the same. Well that is the modern Icon of Hyderabad a Buddha Statue in a lake built by a Muslim Fakir in a city once ruled by the richest person in the world – The Nizam of Hyderabad, a city now home to global giants in IT from A for Amazon to F for Facebook to M for Microsoft, G for Google and Y for Yahoo, I am sure there is a company by Z also but I am too lazy to find out about it. 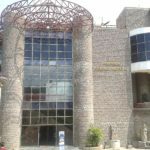 I read that there is a daily tariff fixed by the govt, and that you can be bumped from a hotel to another as they please cos the booking is done only through tour operators. 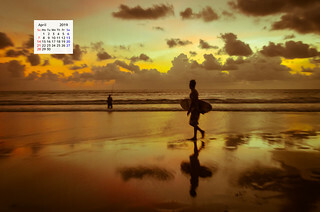 Acc to Lonely Planet, the tariff is 200USD per day. I don’t want to spend 200USD and not have the flexibility of choosing where I stay! I am in-boxing you email with contact details for somebody who can give you first hand information….